As you reach menopause, your hormone levels are thrown off-kilter. This imbalance can trigger a range of symptoms, from hot flashes and night sweats to mood swings and loss of libido. Bioidentical hormones have become a popular treatment choice among women seeking relief. Keep reading below to learn how bioidentical hormones can help treat your menopausal symptoms. Estrogen is linked with femininity. It regulates the menstrual cycle, prepares the body for lactation after childbirth, and helps to lubricate and thicken the vaginal lining. During menopause, the production of estrogen becomes erratic, causing women to experience a myriad of symptoms, including hot flashes, vaginal dryness, and loss of libido. Bioidentical estrogen hormone replacement therapy may help to treat these symptoms by restoring normal estrogen levels. The hormone progesterone plays an important role in a woman's monthly cycle. Progesterone prepares the uterus for a fertilized egg. If the egg is not fertilized, progesterone signals for the uterine lining to shed, resulting in monthly period. 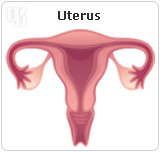 Thus, imbalanced progesterone levels may result in irregular periods, vaginal dryness, mood swings, or depression. Replacing naturally-occurring progesterone with bioidentical progesterone may help to relieve these symptoms. Commonly misperceived as a male-only hormone, testosterone is a critical component of female health and sexuality. Low testosterone levels can result in loss of libido, weaker orgasms, and lack of energy. Bioidentical testosterone may help to treat these symptoms by restoring normal hormone balances in the body. Bioidentical hormones are plant-based hormones that are structurally identical to naturally-occurring hormones. They mimic the effects of natural hormones like estrogen, progesterone and testosterone when introduced into the body. Bioidentical hormones are used to help restore hormonal balance and reduce menopausal symptoms. One important distinction that should be made is that while bioidentical hormones are often extracted from yam and soybean plans, they are not natural hormones. Bioidentical hormones are engineered in a laboratory to copy the effects of naturally-occurring hormones. The steroid diosgenin is taken from soy or yam plants, converted into progesterone, and then used to create the hormone product. While bioidentical hormone replacement therapy is often mistaken as a “natural” or “safe” alternative to hormone replacement therapy (HRT), it may trigger a myriad of serious side effects, including blood clots, chest pains, and increased risk of a heart attack. Click here to read more information about the side effects and risks of bioidentical hormones.